The Johns Life: Let The Summer Games Begin! Ok, I've got Kings of Leon playing and my french press coffee in hand, so it must be time to blog. Because I am such a Hipster. Wait, are we over Kings of Leon because they are too mainstream now?? Does this lower my Hipster status? Whatever, I am cool! I'm a cool 30 year old mother of 4 gosh darn it. You all think cool thoughts about me as you read this blog all about my jewel of a daughter Chloe Ava. 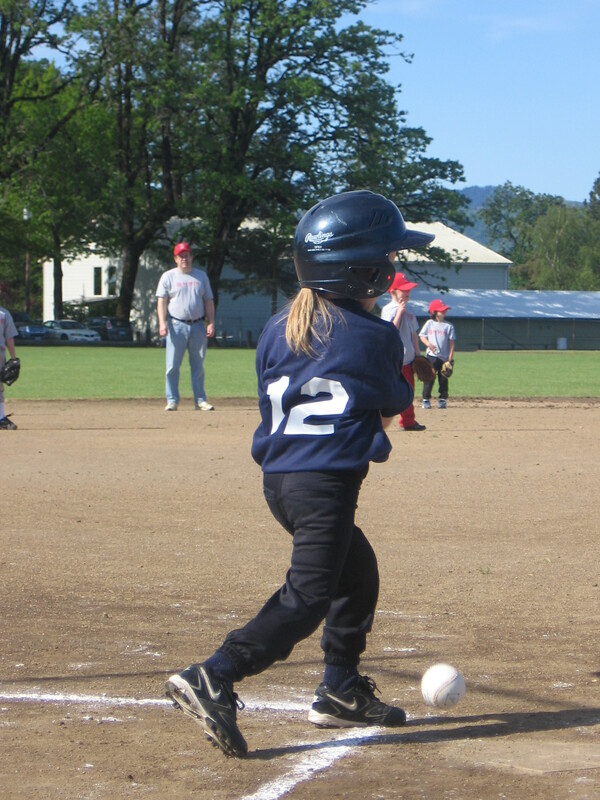 As most of you know by now, we are at baseball/t-ball games 4 days a week between Peyton and Chloe. Chloe has games Mondays and Wednesdays. She is my best friend, and she reminds me of this quite often. Look at her! Is this not the cutest little thing ever? 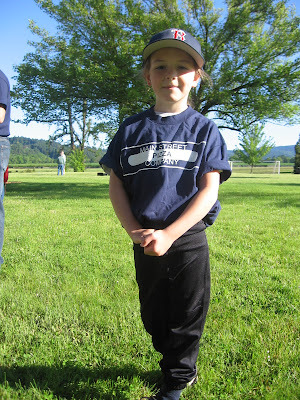 This picture was taken at her first T-ball practice. I told her even if T-ball wasn't her thing, at least she looked amazing! All color coordinated in her pink and black. Anyways, she loves T-ball as it were and it makes me laugh a little because I was certain sports would not be her thing. I mean we are best friends here, she is supposed to be all dancey-dancey like her Mama. I would like to introduce you to team Star Wars. Chloe is standing there next to her bestie Taylor. They both wanted to be named the Mustangs but all the boys put a veto on that one. Thank you boys for being such meanies! The Star Wars played against the Fire Balls on Monday. It was an Epic battle of the Galaxies. She gets plenty of coaching from her older brother Peyton. He loves cheering her on, a complete, lovely change from the constant fighting that goes on between them. Its actually brought them a lot closer. 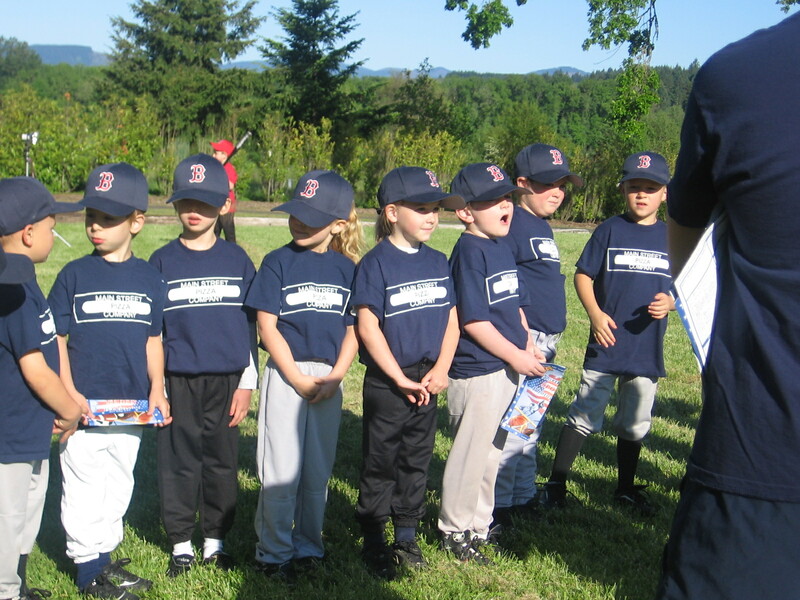 I'm hoping we only have 1 year of T-ball because going from Peyton's Jr Midgets to Chloe's T-ball makes me want to bang my head into a wall. Each team gets to go through the entire line up. Twice. Its like the never ending game. Its worth it though to watch Chloe enjoy herself out there. How did she get 6 1/2 already? Ugh my beautiful baby, stop growing!! I'm a busy Mama of 4 kids, wife to an amazing man and a coach to 13 dancers. My life is busy and full, and I'm lovin' every minute of it!